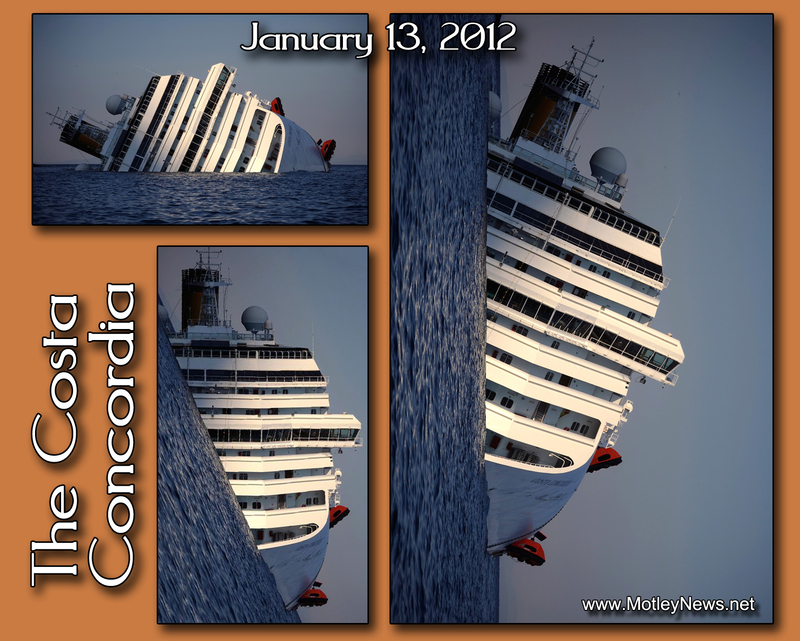 On 13 January 2012 at about 9:45 pm, in calm seas and overcast weather, under command of Captain Francesco Schettino, Costa Concordia struck a rock in the Tyrrhenian Sea just off the eastern shore of Isola del Giglio, off the western coast of Italy about 100 km (62 mi) northwest of Rome. Of the 3,229 passengers and 1,023 crew known to have been aboard, 30 bodies have been located, and two more passengers are missing and presumed dead. 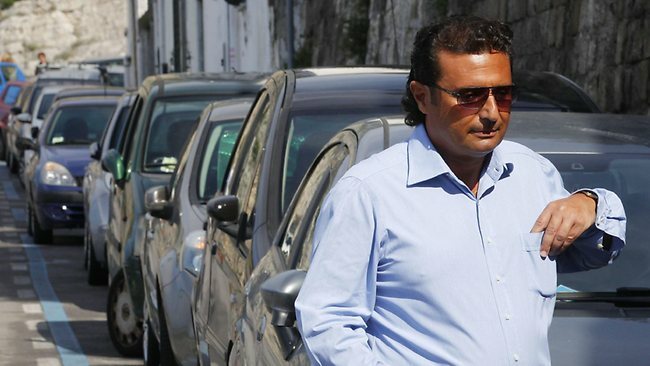 The captain of the ship, Francesco Schettino, has been under close scrutiny and accused of abandoning his ship in addition to causing the wreck by reckless seamanship. The Costa Concordia’s captain has expressed his condolences but blamed his crew for the cruise ship crash in an interview given today, on the one-year anniversary. “If we had not turned, we would not have hit anything,” Schettino said, repeating a previous accusation made against the ship’s Indonesian helmsman Jacob Rusli Bin, who he said had misunderstood his steering orders given in English. The ship is still in the same location. I’m sure it has, and still does, bring in a lot of tourists. But I doubt the locals are very happy having this view every single day. FYI: Make sure to click on the image for full size. Much much better. Today a Norman Rockwell painting came back to life but represented Obama’s girls this time. Another sad day in America. I fell in the lifeboat…………..
Did you hurt the captain is you fell in? I don’t understand why, in a year’s time, (a) they haven’t managed to either move or dismantle the ship and (b) haven’t tried and imprisoned the captain. I don’t know. I shake my head so often anymore. it’s a wonder it is still attached.